What Happened With Cohort Default Rates? The U.S. Department of Education recently released student loan cohort default rates for colleges and universities. Schools with rates of 30 percent or more for three consecutive years (and those with 40 percent or more for one year) were in danger of losing federal financial aid. In the end, the list included only 21 schools. Why was that? The department made a last-minute change to the calculation that determines student loan cohort default rates — making the already-imperfect measure even less perfect. Without the department’s change, cohort default rates have their limitations. On one hand, it’s important to know if a high percentage of students are consistently finding themselves in loan default. (This likely means they haven’t been able to find sufficient work with their degree to pay off their loans.) On the other hand, cohort default rates don’t capture key data points, like the percentage of students who are actually repaying loans or those who are deferring payment. The department’s last-minute change makes things worse by adjusting rates for schools with borrowers whose loans were split between different loan servicers. The rationale behind the decision was based on the idea that institutions shouldn’t be penalized if the companies that service the loans might have created some confusion about who should be paid. (Sadly, this courtesy was not extended to borrowers.) This lowered cohort default rates, enough that — in some cases — institutions were no longer subject to federal sanctions. The bigger issue now has to do with future comparability of this data. Did the institutions get a one-time pass? Will it happen again? How will we know which institutions might have been on the list but were saved by the adjustment? And for those institutions “saved” by the adjustment this year, will they continue to see a residual benefit in years to come? The current administration has done a lot to stop predatory institutions from hurting students, but they have to do more. We hope the department will work with us and others to develop better accountability measures to ensure that all students can access, afford, and complete a college education. 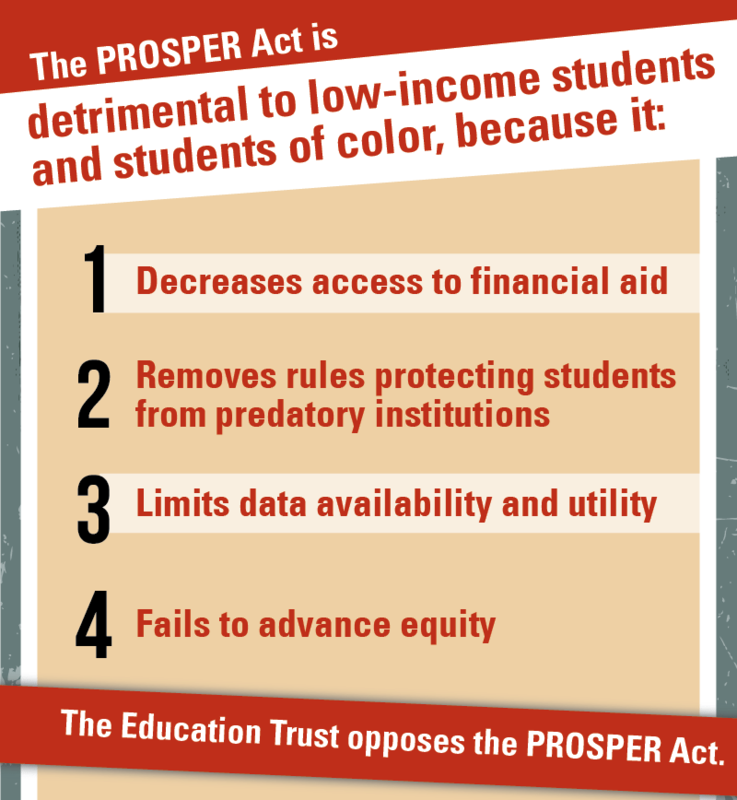 High-quality, accurate data is critical, and it must be paired with measures to hold institutions accountable for the success of their students, especially those of color, low-income, and who are first-generation.